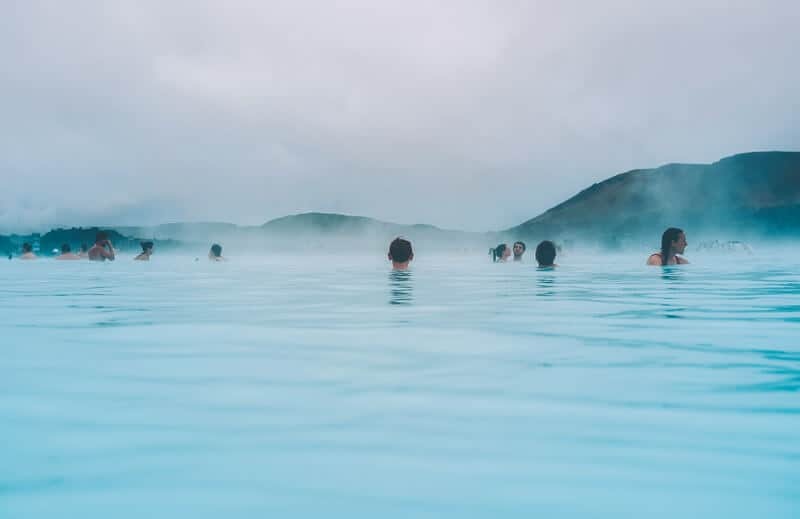 What is the Blue Lagoon in Iceland? 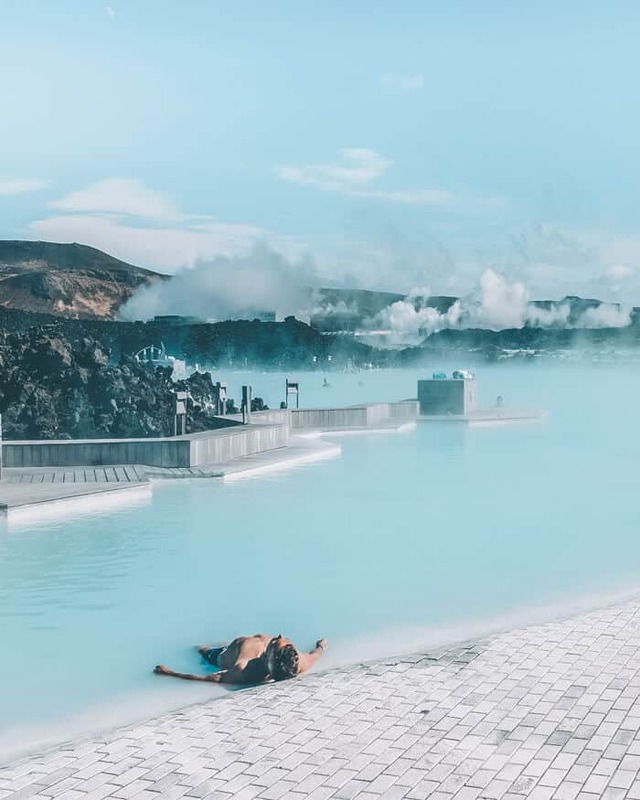 The Blue Lagoon is one of Iceland’s top tourist attractions and definitely a one of the best places to go in Iceland. We ended our 5 day Iceland trip by soaking at the Blue Lagoon geothermal spa before heading straight to the airport. The Blue Lagoon is a man made lagoon that has pools of water heated by the lava flow underground. The milky blue water is rich in minerals and said to have healing properties. Some of these minerals include white silica and blue green algae and mineral salts. These ingredients clean, exfoliate, nourish & soften the skin while relaxing the body. We soaked for hours among heads covered in white silica mud masks. It was the perfect way to relax after days of exploring and before a long flight home. 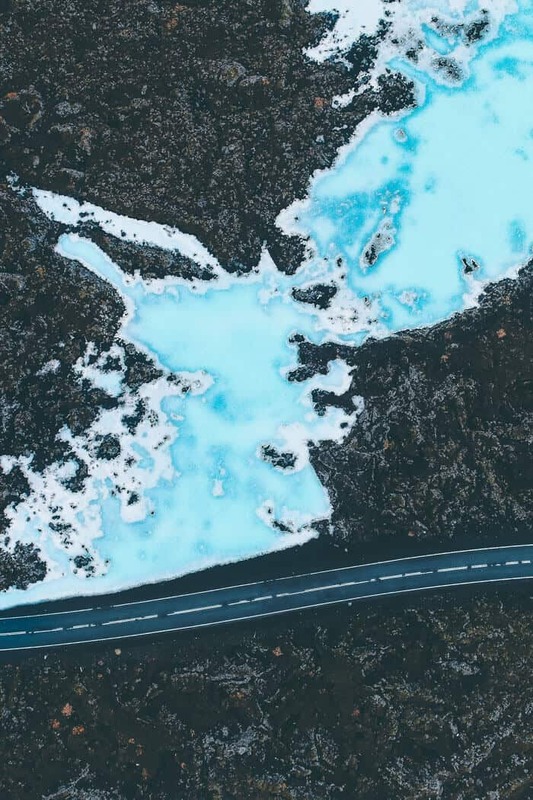 What has changed since our first visit to the Blue Lagoon Iceland? The Blue Lagoon Iceland has changed a lot since we first visited in 2015. 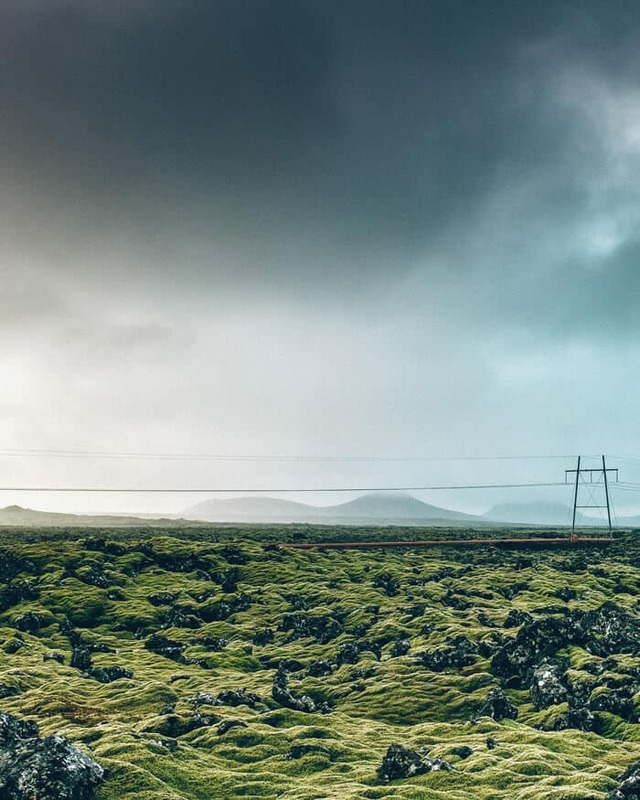 Iceland has become one of the fastest growing tourist destinations in the world and as a result, prices have gone up and bookings have become required in advance. Me and my husband just showed up and got in with no issues at all. How much does the Blue Lagoon cost now? When we first visited the Blue Lagoon in Iceland it was $40 per person to get in. Current rates have skyrocketed to $70 per person! Make sure to book in advance as that is the only way you can get in these days. You can go to Blue Lagoon’s website to book. Where is the Blue Lagoon Iceland? The great thing about the Blue Lagoon is it is very easy to get to on your way to or from the Keflavik Airport. We ended up going there on our last day on our way to the airport. 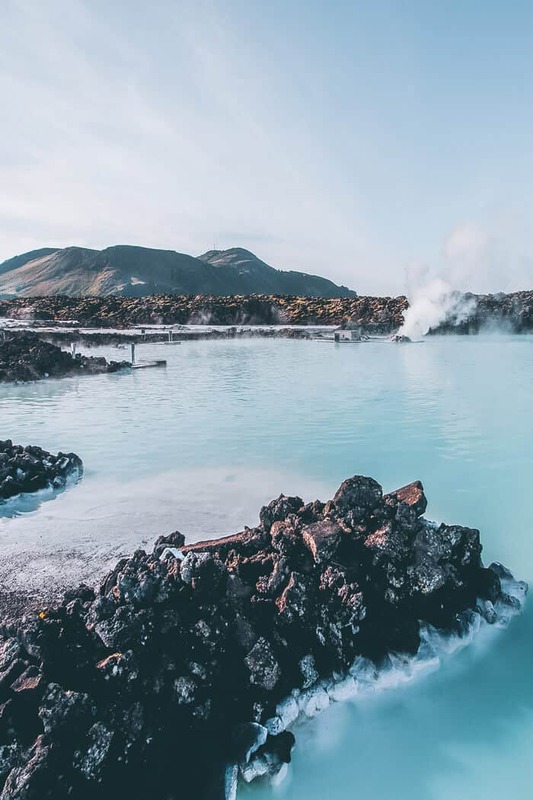 The Blue Lagoon is about a 45 minute drive from Reykjavik and a 20 minute drive from the airport. 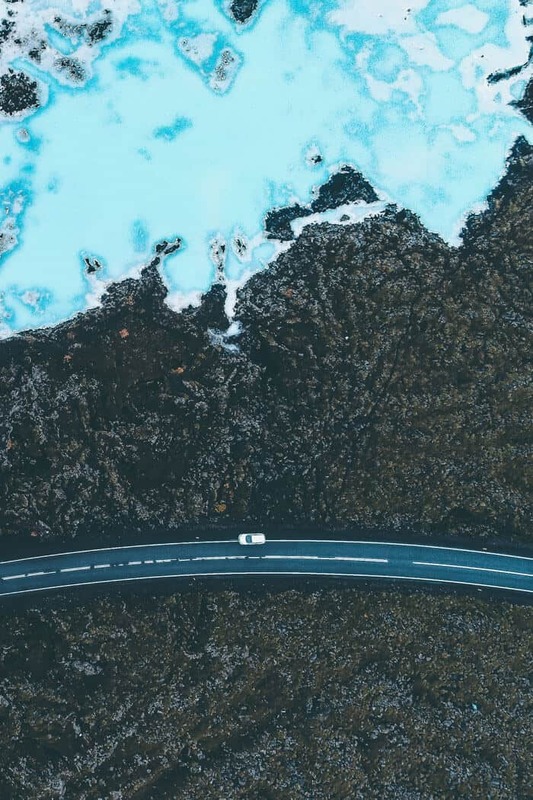 The drive to The Blue Lagoon Iceland is not a boring one! 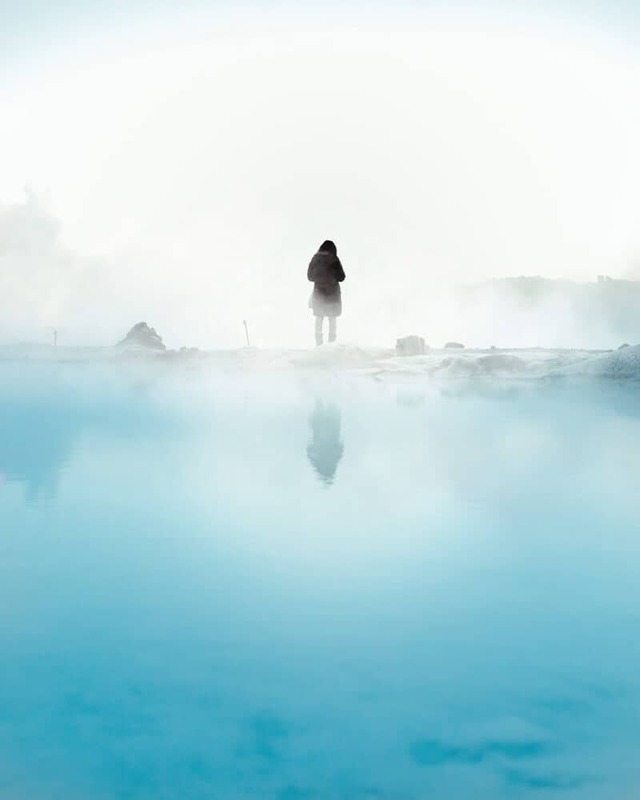 What to wear at the Blue Lagoon in Iceland? Here are some of the basics you will want to make sure you have with you when you get to the Blue Lagoon. We forgot a waterproof phone case and definitely ended up regretting it. The Blue Lagoon Iceland does provide free shampoo and conditioner. They also have blow driers which is nice. I am always so lazy though with my hair on vacation. We were going home so I honestly didn’t bother with any of that. How deep is the Blue Lagoon in Iceland? The deepest area in Blue Lagoon is 1.40m (4.5 feet) and the shallowest is 90 cm (35 inches). If you are going with children or you don’t know how to swim you don’t need to worry. There are also lifeguards on duty at all times. Blue Lagoon well worth the money and definitely a spot you don’t want to miss in Iceland, even if you are passing through Iceland for only a few hours (the spa is only 20 minutes from the airport). Have you guys been to the Blue Lagoon in Iceland? What tips do you have for visiting?